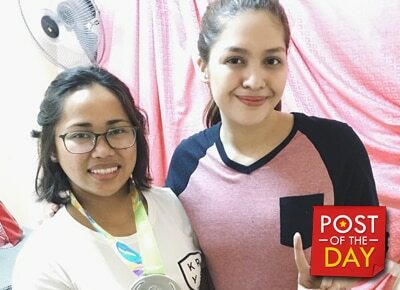 Jane Oineza portrayed Olympic silver gold medalist Hidilyn Diaz in last night’s episode of Maalaala Mo Kaya. The weightlifter’s life story trended on Twitter and the actress took the opportunity to thank Hidilyn on her Instagram. “Thank you Hidilyn for sharing your wonderful story with us ?? You inspired a lot with your perseverance and passion in doing what you really love and that’s the key to genuine happiness,” Jane said in her photo’s caption.